ETERNAL JOURNEYS PVT. LTD. is a Premier (WHOLESALE) Tour Operating Company, managed by Team of Professionals enabling travellers to discover the array of destinations across the Indian subcontinent (India, Nepal, Bhutan, Sri Lanka), along with East (China, Tibet) & South East Asia (Myanmar, Laos, Vietnam, Cambodia) in an EXCLUSIVE & EXPERIENTIAL way. ETERNAL JOURNEYS is a fully integrated Destination Management Company (DMC), which has also been hailed as masters of bespoke, special interest and incentive holidays. 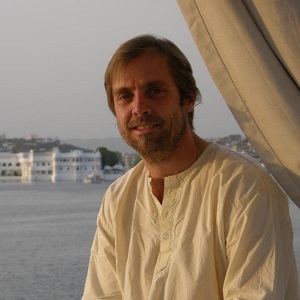 A name, for many years now, in the tourism industry to be reckoned with complete trust, ..
At Eternal Journeys, we pride ourselves on being unique in the travel industry. We offer our clients a wide variety of activities for international travel that makes each tour special and unforgettable. With hundreds of tour programs for you to peruse, you are sure to find a travel adventure to suit your wishes. Explore some of the many itineraries available with us to see what piques your interest. Almost all of these itineraries can be customized to suit your wishes for destinations, activities, duration, pacing, hotel choices, meal plans and transportation. * FOR OUR COMPLETE BROCHURE PROGRAMS SERIES, THE CLIENTS ARE REQUESTED TO GET IN TOUCH WITH THEIR NEAREST TOUR OPERATOR OR TRAVEL AGENT HOWEVER FOR ANY ISSUE REGARDING ABOVE, WE WOULD BE MORE THAN PLEASED TO ASSIST. * ALL INDUSTRY COLLEAGUES MAY WRITE TO US ( OFFICE@ETERNALJOURNEYS.IN ) FOR THE UPDATED DETAILS. Behold the majestic land of India, for it is truly one of the most amazing destinations on Earth. Rich with cultural wonders, alive with vibrant civilizations and brimming with timeless beauty, It is an unforgettable world that inspires the mind and feeds the soul. Explore the unparalleled majesty built over the millennia of time, the joy and excitement of the most diverse and jubilant communities of people ever to walk the Earth. Abundant sights and sounds that promise to dazzle your senses and satisfy your curiosity. 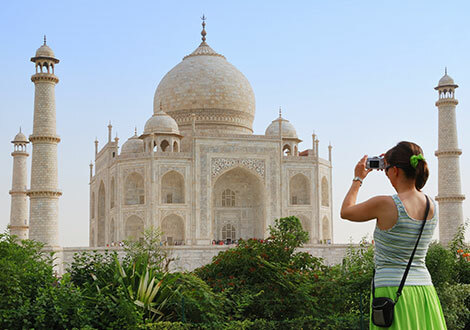 India is awash with countless possibilities to satisfy every traveler’s wishes. Nepal is a land of great diversity. Come to enter into a world where ancient temples are nestled around every corner of this burgeoning nation. Centuries of history lie in wait to be discovered during your travels throughout both the bustling cities and the wide expanses of rural countryside. Enormous ranges of majestic mountains tower over the northern border filled with countless trekking possibilities. Welcoming residents inhabit the quaint villages and rural farms that spread out through rolling hills and valleys. Come unlock the beauty of this developing nation in all of its splendor. Venture up into the high plateaus of the Himalayas and find yourself in a land reminiscent of life from centuries past. The ancient mysteries of Tibet live stoically in the palaces and dzongs perched high upon the peaks and ridges. Come to explore the historic trade routes from the past millennia of Asia that pass through this hub of religion, culture and trade. Wander the winding streets of marketplaces almost untouched over time and find intriguing memories of sight and sound. Explore the Himalayas from within, all whilst immersing yourself in its secrets. 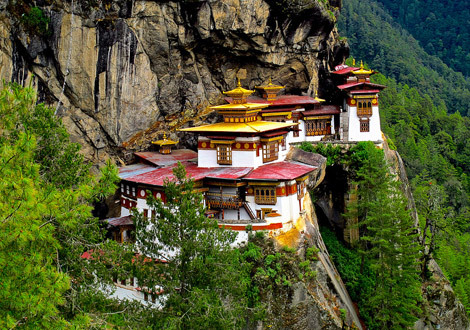 Bhutan serene and spectacular beauty beckons you to come explore within. 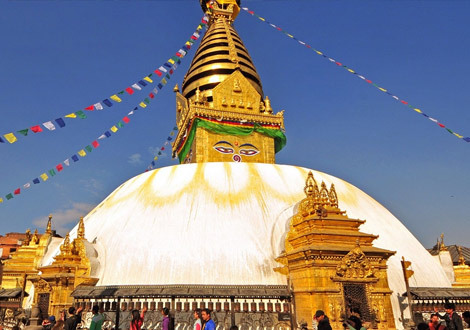 Graced with the novel distinction of having the “Highest Gross National Happiness” in the world, it offers a peaceful opportunity to explore the dramatic natural beauty of this Himalayan Kingdom. Nestled in the verdant valleys of this small nation awaits splendor beyond compare. Come to discover the relaxed and casual lifestyle of this cherished Buddhist community where temples & prayer flags decorate the forested hillsides with grace. Come to the shores of the island nation of Sri Lanka to explore this tropical paradise within the warm waters of the Indian Ocean. Discover the soft and warm beaches at the coast with their abundance of seafood and ocean culture. Or climb up into the mountain roads inland to find the most prized tea leaves on Earth resting on the rolling hillsides of the local plantations. Observe the fusion of history from ancient temple sites to colonial settlements as you witness the many pages of time across the centuries. 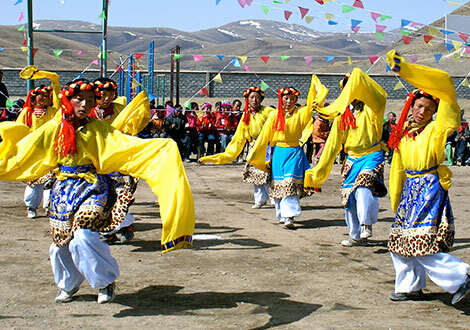 Explore the timeless secrets of this vast region where countless centuries have played host to numerous dynasties that span so much of the world’s history. 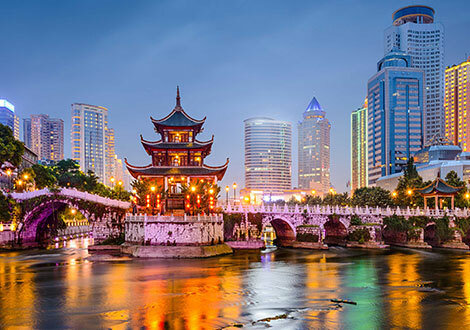 Compare both sides of China’s culture with majestic monuments spanning the millennia and dramatic modern architecture reaching far into the future. Discover the dichotomy of the urban and the rural styles as they move forward with both excitement for the future and respect for the past. Mysteries await you in this world steeped in history and vibrancy. This is Burma,’ wrote Rudyard Kipling. ‘It is quite unlike any place you know about.’ Amazingly, over a century later, Myanmar retains the power to surprise and delight even the most jaded of travellers. 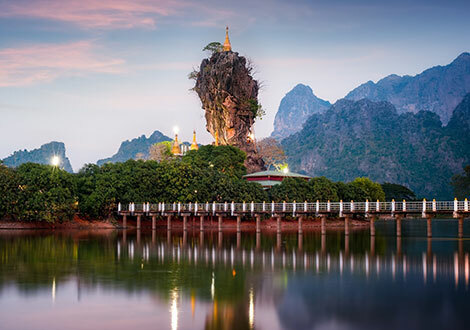 Be dazzled by the ‘winking wonder’ of Shwedagon Paya. Contemplate the 4000 sacred stupas scattered across the plains of Bagan. 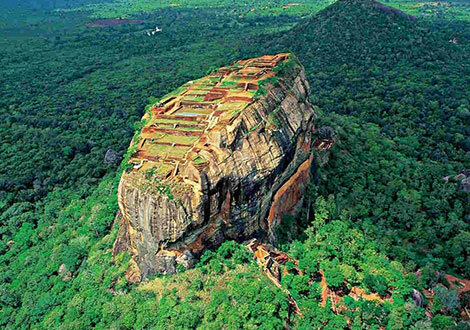 Stare in disbelief at the Golden Rock at Mt Kyaiktiyo, teetering impossibly on the edge of a chasm. These are all important Buddhist sights in a country where pious monks are more revered than rock stars. 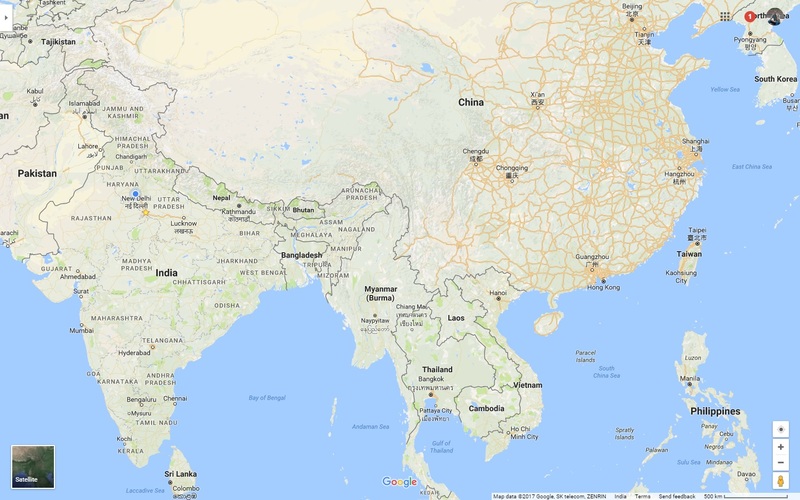 A landlocked nation in Southeast Asia occupying the northwest portion of the Indochinese peninsula. Laos deserves all the accolades it deserves. Adrenaline junkies can loose themselves in under water caves, white water rapids or jungle ziplines. Wildlife nuts can trek through some of the best Southeast Asia’s most pristine forests, still home to some rare creatures. Foodies can experiment with a kaleidoscope of flavour that is Lao cuisine. 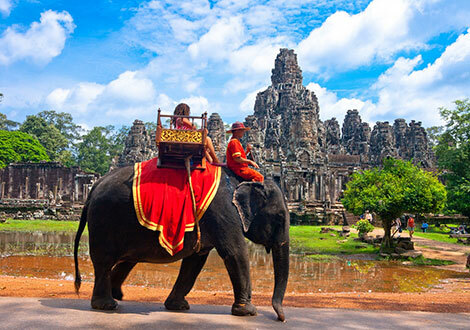 In ancient times Laos was called as a “Land of Million Elephants”. 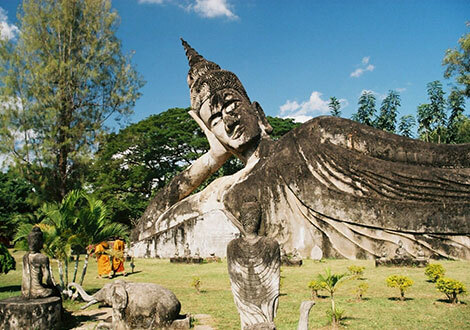 Now four decades after the war, Laos is becoming an increasing relevant destination for the intrepid traveler. 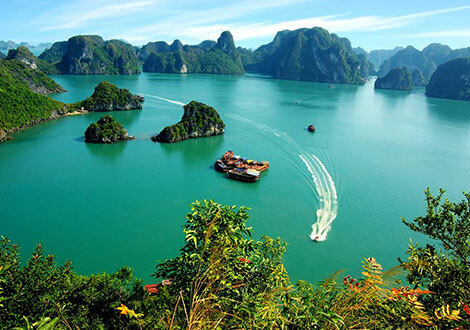 Astonishingly exotic and utterly compelling, Vietnam is a country of breathtaking natural beauty with an incredible heritage that quickly becomes addictive. Unforgettable experiences are everywhere in Vietnam. Gazing over a surreal seascape of limestone islands from the deck of a Chinese junk in Halong Bay. The ridiculous: taking 10 minutes just to cross the street through a tsunami of motorbikes in Hanoi. The inspirational: exploring the world’s most spectacular cave systems in Phong Nha-Ke Bang National Park. The comical: watching a moped loaded with honking pigs weave a wobbly route along a country lane. And the contemplative: witnessing a solitary grave in a cemetery of tens of thousands of war victims. Ascend to the realm of the gods, Angkor Wat. Descend into hell at Tuol Sleng Prison. With a history both inspiring and depressing, Cambodia delivers an intoxicating present. Contemporary Cambodia is the successor state to the mighty Khmer empire, which, during the Angkorian period, ruled much of what is now Laos, Thailand and Vietnam. The remains of this empire can be seen at the fabled temples of Angkor. Despite having the eighth wonder of the world in its backyard, Cambodia’s real treasure is its people. No visitor comes away without a measure of admiration and affection for the inhabitants of this enigmatic kingdom. Meet our worldwide marketing Team, which is always on the move to reach out to you. They are all bringing huge experiences to the fore and professionalism to the core. Industry experience of 25 years, has formal education in Tourism & Japanese Language. 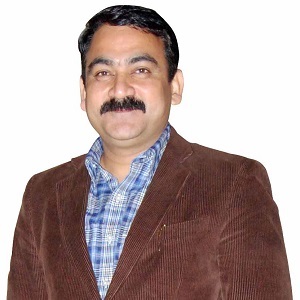 Emphasizes on service management, leads by example & does business with his heart. 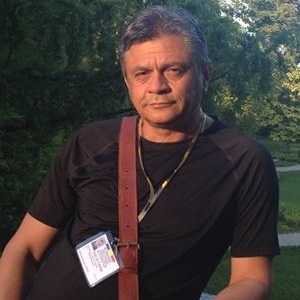 An avid traveller himself, just guess with 58 countries in six continents. An explorer and discoverer in true sense, setting up new standards for his clientele over the years. Loves to travel around the globe & help people with their holiday arrangements. Also bringing in lot of creative ideas for the team & supporting few charities for the under-privileged. We invite you for a meeting at any of the listed Travel Fairs, Shows & Exhibitions, in the coming months to know more about us. Our team will be glad to share our plans & ideas that we’ve in store for you. Our mantra lies in mutual success and there is plenty to take it forward. These memberships carry responsibilities and Eternal Journeys is pledged to meet those responsibilities with the highest standards in the hospitality industry. Our awards too are symbols of the distinction we have earned for bringing the world’s best standards of destination management to the Indian subcontinent & beyond. But there is another category of rewards we hold closer to our hearts. The pleasure of having transported thousands of travellers from all over the world, into the magical world of the east. The satisfaction of helping them experience these magnificent and mysterious lands to the fullest. And the knowledge that the relationships we have built will carry us all into the future, together. For Eternal Journeys, that is the final destination. The world’s largest association for travel professionals with presence in 140 countries. Their mission is to facilitate the business of selling travel through effective representation, shared knowledge and the enhancement of professionalism. A not-for-profit association that acts a catalyst for the responsible development of travel and tourism to, from and within the Asia Pacific region whilst providing aligned advocacy, insightful research and innovative events to its member organisations. The Ministry of Tourism is the nodal agency for the formulation of national policies and programmes and for the co-ordination of activities of various Central & State Government Agencies, and the Private Sector for the development and promotion of tourism in India. It is the national apex body of the Indian tourism industry, addressing the crucial issues at various levels within the industry itself & outside. It also promotes international understanding and goodwill, to the advantage of its all members. A unique collective action initiative to Save Tigers and their forests across the Indian subcontinent, involving travel operators from India & overseas, service providers, national parks, communities, governments and visitors etc. A completely independent open platform for the authentic Customer Reviews of our Company, Services & Products, basically to earn your Trust & Confidence by accepting the challenge. No one realizes how beautiful it is to travel until he comes home & rests his head on his old, familiar pillow. © Copyright - Eternal Journeys Private Limited.